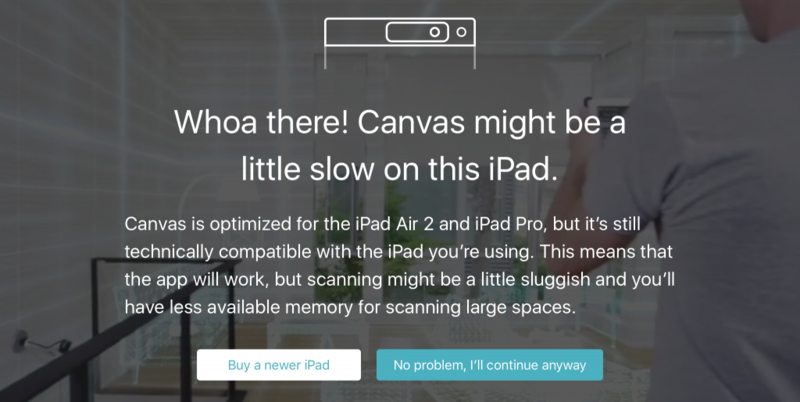 Occipital, makers of the Structure Sensor I reviewed earlier, has released Canvas — a Free 3D Room Scanning app for iPad. When I give a presentation about 3D scanning, one question I always get is if it’s possible to 3D scan an entire room. I alway counter this with asking what the intended purpose is: aesthetically or metrical. The problem with the former is that 3D scanning technology doesn’t give eye-pleasing results yet so at this time we’re still bound to using 360° photography for virtual real estate tours. 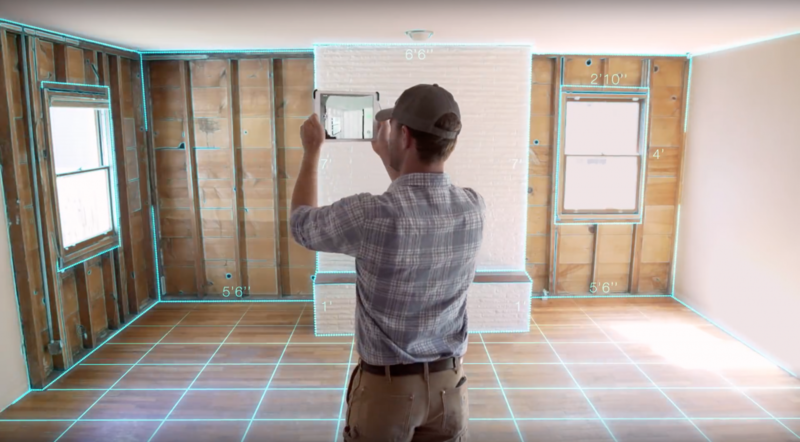 Matterport offers an end-to-end hardware/software solution for virtual tours by cleverly combining simultaneously captured 360° photos for the tours themselves and 3D scans for overviews and measurements. I think it’s great for real estate and that’s a market where the pricing is probably justifiable. But there are a lot of markets that are looking for a easy-to-use, affordable and portable solution for doing measurements quickly. Until now, I’ve given people demos with the Structure Sensor and Room Scanner app. But while this software shows the potential of Room Scanning with a depth sensor, it was still a sample app with limited functionality. That has changed today with the introduction of Canvas, a new app by Structure Sensor manufacturer Occipital. 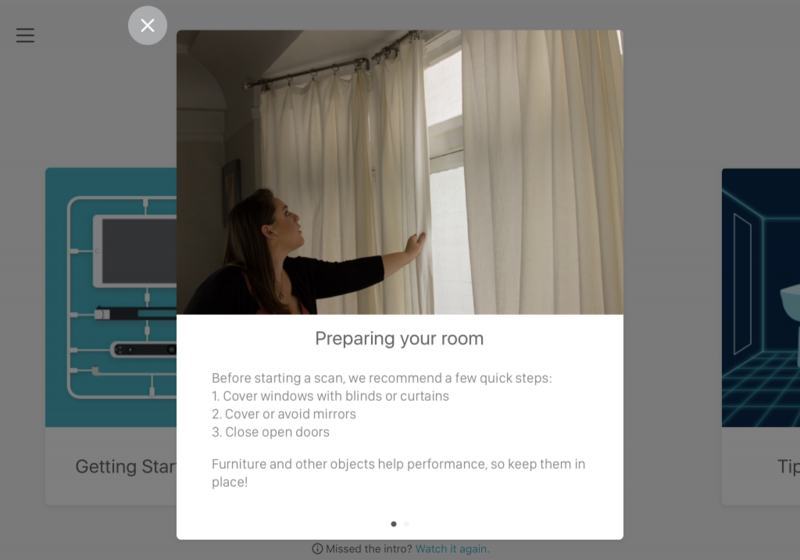 It takes the concept of the Room Scanner app to the next level by adding the ability to walk around while scanning so you can scan a room from corner to corner. Also added is a project management function that let’s you open saved rooms later for taking measurements, or exporting the scan data to a 3D file format. On top of that, Occipital also offers a Scan to CAD service implemented into Canvas. This service comes at a flat fee of $29 for which your 3D scan — which is size-accurate, but not very eye-pleasing or useful for virtual styling — is converted to an clean, organized 3D CAD file. This file will be supplied within 2 business days in .SKP (SketchUp), .DWG (AutoCAD) or .DAE (Collada, works with many 3D applications) format. For comparison, Matterport offers a similar 2-business-days service called Schematic Floor Plans for $36 per plan, but this is limited to a 2D floor plan in PDF or PNG format. I almost always have my iPad mini 2 and Structure Sensor in my bag, so I couldn’t resist to download Canvas from the App Store (it’s Free!) right away. The Scan to CAD service and the promo video seem to be targeted at professionals, but the Canvas splash screen contains the slogan “A New Powerful Tool for Home Improvement”. I’m in the middle of remodeling my kitchen, so I feel the connection. I think software like this is handy for anyone that has to take a lot of measurements. I wasn’t in the mood to buy a new iPad, so I decided to test with my unfit tablet anyway. I could scan about one third of my living room while walking around before the memory was full. This is clearly depicted by an indicator in the top right corner that turns orange and then red if memory gets really full. The app automatically finishes scanning when there’s no more room in the RAM for extra polygons. Measuring works the same as with the original Room Scanner app and allows toggling between inches and centimeters. New is the possibility to see the model from a top-down view. As you can see, the hierarchy let’s you create new Homes. After that you can add multiple rooms per Home. I called my living room “Home” in this case, but you can rename them afterwards. So this was a quick walkthrough of the new Canvas 3D Room Scanning app for Structure Sensor. Of course I want to turn this post into an in-depth test that’s in line with my other 3D scanner reviews, but I guess I’ll have to give myself a new iPad — and the new Wide Vision Lens for the Structure Sensor — for Christmas first. Follow me on your favorite social network if you want to know when I’ve tested Canvas to the full by clicking one of the buttons below. How accurate were the measurements? What was the margin of error. I’ve tried several apps and the key is maintaining a pivot point for reference so with the ability to walk around, I’m curious as to how the measurements work. Measurements would be my main focus of using the app, so based on your usage, what is your recommendation on its functionality? I’m curious about this myself. I want to do a full review, but I have to arrange a better iPad first since my iPad Mini hasn’t got enough memory. Hi Nick, thanks for the amazing review. As per Wes’s comments, I am also interested in the accuracy. Is it good enough for sending to a cabinet maker? It’s intended for that purpose, so it should be. But I have to test to be sure. Hoping to do that soon. can it scan a complete home with multiple rooms? Yes. The app let’s you make multiple room scans within a single project, which you can name accordingly. Does it incorporate texture data from the iPad color camera? Everything I have seen so far is just gray mesh data. No it’s strictly a measurement tool. Not for aesthetic purposes, so there’s no color. Also, is this compatible with skanect? I have plenty of RAM on my home server. 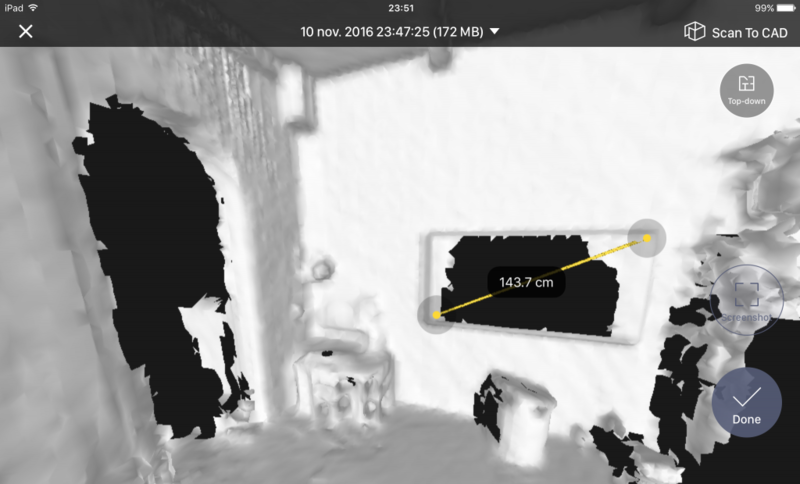 This is a standalone app, but you can simply use Skanect with a Structure Sensor to scan rooms manually and have the same measurement data. Only the Scan-to-CAD service won’t be available then. Hello , any news regarding the accuracy of the scanner ? No, sorry. Still haven’t got a better iPad to test Canvas. But I might do some small scale tests to test the accuracy soon anyway. Follow me on Instagram if you want to know when I’m doing that. (I share most in-between stuff there). Hey Nick, I went to your instagram, but was daunted by the notion of examining all your history for the year to find anything that may or may not be there. Perhaps you can tell me if you’ve checked this out some more? We are an Architecture practice, so accuracy is the thing I’m wondering about, even though it sounds promising. Like you, I don’t want to buy a new ipad to find out.